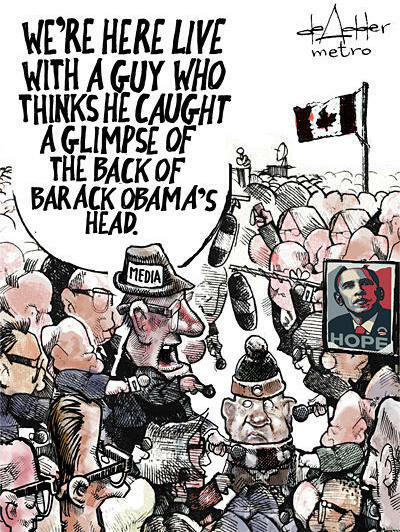 Editorial cartoon by Michael De Adder for Metro. While I am surprised at the out-pouring of affection for Obama in Canada, I stand by my belief that if he were to have visted South Korea first schools would have closed (and they don’t close schools for anything here). I came across this that I thought was well written and thought you might be interested in. I really like that, thanks John!